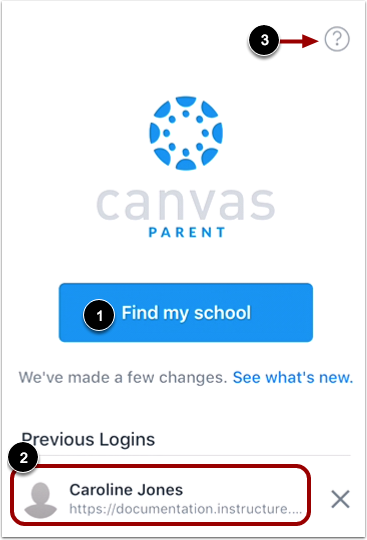 How do I log in to the Canvas Parent app on my iOS device? 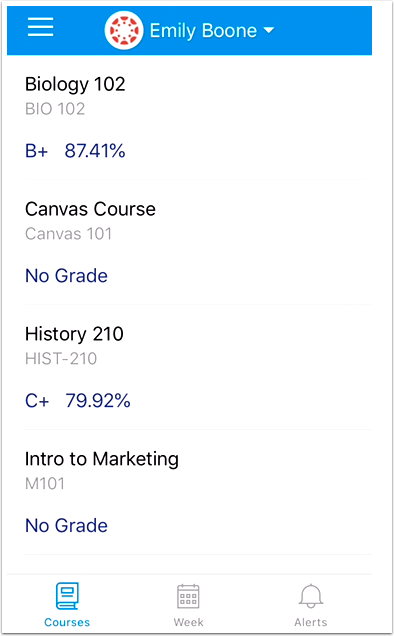 In the Canvas Parent app, you can log in with Canvas observer credentials to view student course information. 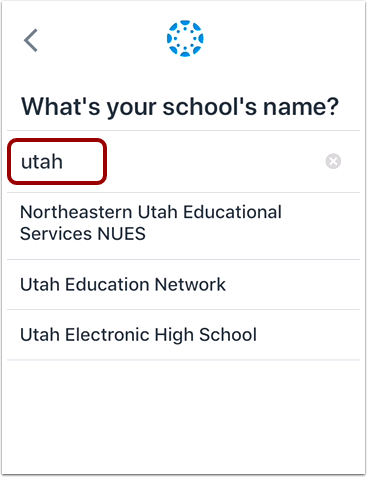 If you do not have a Canvas account, you can create an account in the Parent app. 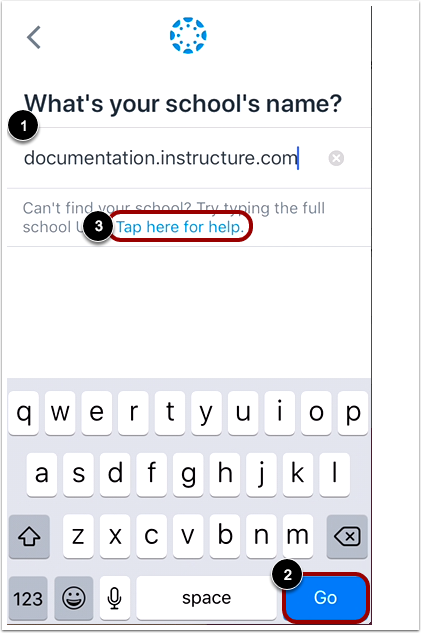 To get help with logging in to the Parent app, tap the Help icon . If you don't know your Canvas URL, tap the Tap here for help link in the search results. After you've located an account, you can view the Canvas URL at the top of the screen . Enter your email  and password . Then tap the Log In button . If your Canvas mobile login page does not show the Forgot password? link, contact your institution if you need to reset your password. Learn how to use the Canvas Parent app. 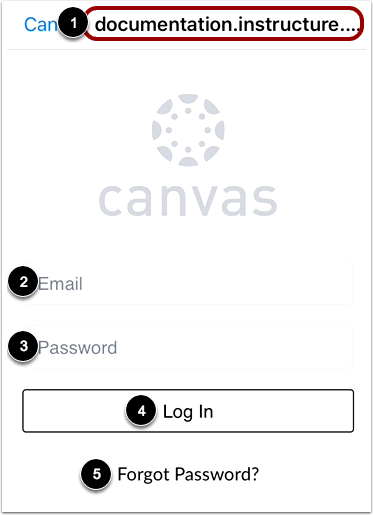 Previous Topic:How do I create an account in the Canvas Parent app on my iOS device? Next Topic:How do I use the Canvas Parent app on my iOS device? Table of Contents > Observers > How do I log in to the Canvas Parent app on my iOS device?